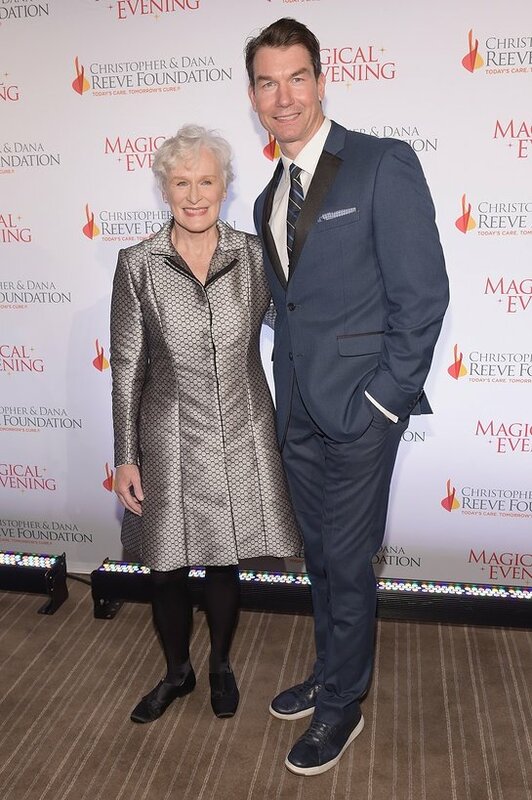 Last week, the Christopher & Dana Reeve Foundation honored Foundation supporters the Bridgman Family and vice-chairman of the Board of Directors Henry G. Stifel III at the annual “A Magical Evening” gala. Actor Jerry O'Connell returned for the second year in a row to emcee the evening at the Conrad New York, which also featured a performance by Joan Osbourne and music by DJ Whoo Kid. The annual event celebrates those who embody the fabric of the Foundation’s mission to curing spinal cord injury by funding innovative research, and improving the quality of life for people living with paralysis. The Christopher Reeve Spirit of Courage Award was presented to the Bridgman Family, whose lives were turned upside down when Chris Bridgman was paralyzed in a biking accident in 2010. Knowing nothing about spinal cord injury, the family turned to the Reeve Foundation’s Paralysis Resource Center for support and guidance. The Bridgmans are now focused on helping other families in similar situations and aim to spread hope to others. Since Chris’ injury they have ignited their community in Los Altos, CA, to raise funds to speed the development of treatments for spinal cord injury and will do so until tangible cures are discovered. The Arnold H. Snider Visionary Leadership Award was presented to the Foundation’s beloved Vice Chair, Henry G. Stifel III. Over 30-years ago, the Foundation was born out of the dreams of the Stifel family who refused to believe that the words “impossible” or “unsolvable” applied to spinal cord injury. Guests included Matthew Reeve, Will Reeve, Glenn Close, Francesco Clark, Denna Laing, Eric LaGrand, Amanda Stephen, Bethany Watson. During the gala, the Reeve Foundation announced a significant milestone to accelerate research on a groundbreaking therapy. The Food and Drug Administration (FDA) approved the research protocol on the Big Idea, a study funded by the Reeve Foundation to demonstrate the safety and efficacy of epidural stimulation as a therapy for chronic complete spinal cord injury. In 2014, the Foundation unveiled research in which four young men who were completely paralyzed regained the ability to stand, voluntarily move their legs, as well as experienced improvements in bowel, bladder, sexual function and temperature regulation. These unprecedented recoveries were as a result of epidural stimulation of the spinal cord. With the FDA’s approval, the study can commence with participants being enrolled out of the University of Louisville. “With FDA approval, we are able to advance this groundbreaking research and begin to enroll participants within the Big Idea study. This is a huge milestone for the Reeve Foundation as we work to demonstrate the power and potential of epidural stimulation as a life-changing therapy for individuals living with spinal cord injury. Thanks to technology, we are unlocking a world of unforeseen possibilities to accelerate scientific discovery and uncover new approaches to foster greater recovery.” said Peter Wilderotter, president and CEO of the Christopher & Dana Reeve Foundation. In conjunction with the gala, there will be an online auction, powered by Charitybuzz, which will run through November 21st at charitybuzz.com/reevefoundation. This year’s Co-Chairs for the event included John W. Holman, III, Katherine M. Snider and Kareem Issa. Board of Directors include: John M. Hughes (Chairman of the Board), John McConnell (Vice Chairman of the Board), Matthew Reeve (Vice Chairman, International Development), Mr. Henry G. Stifel, III (Vice Chairman of the Board), Joel M. Faden (Chairman, Executive Committee Treasurer), Jeffrey P. Cunard, Esq. (Secretary Ex-Officio), Peter T. Wilderotter (President and CEO Ex-Officio), Timothy Connors, Ian Curtis, Tracy Forst, Simone George, Alexandra Reeve Givens, Esq., Jack Hagerty, Esq., Kelly Anne Heneghan, Esq., Lisa Henry Holmes, Daniel Heumann, Michael Hoog, Anita McGorty, Timothy R. Pernetti, Mark Pollock, Will Reeve, David Sable, Jay Shepard, Marci Surfas, Christopher Tagatac, Tania Lynn Taylor, Patricia J. Volland and James O. Welch, Jr. Earlier in the day, the Reeve Foundation visited Nasdaq MarketSite in Times Square and Will Reeve rang the Closing Bell in honor of the 5.4 million Americans living with paralysis, and in celebration of the Foundation’s efforts to speed the development of treatments for spinal cord injury. The Christopher & Dana Reeve Foundation is a national nonprofit organization dedicated to curing spinal cord injury by funding innovative research, and improving the quality of life for people living with paralysis through grants, information and advocacy. Through the Reeve Foundation’s persistence and promise, neuroscientists around the world agree that repairing the damaged spinal cord is not a question of if, but a question of when. Proceeds from A Magical Evening enable the Reeve Foundation to continue its pivotal work. 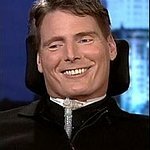 For more information visit www.christopherreeve.org/ame.